Coffee is, hands down, the most popular beverage across the world. 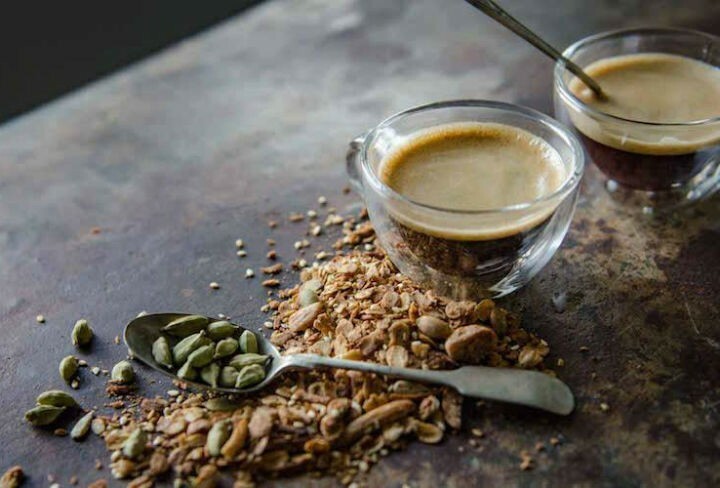 With a multitude of variants like vanilla coffee, spiced coffee, the Italian espresso, coffee is not a simple brew anymore. This highly aromatic compound is extremely popular in cakes, cocktails and even ice creams. Now who doesn’t like a hot cuppa early in the morning to get their minds pumping and ready to take on the world! Nothing beats the aroma of freshly brewed coffee. While in most South Indian homes, the fresh filter coffee is so ritualistic that tampering with any of the elements would be considered blasphemy! But who can blame the food enthusiast who thrives on experimentation. That’s what created the Spiced Coffee. When spices are considered an integral part of chai/tea, why not coffee? Ginger is consumed for many health benefits that include digestion and its antibacterial properties. So why not start our day with something as good as this? Here comes our version of the Spiced Coffee. Are you a cold coffee lover? You can try some of our cold variants like Cold Coffee or Soya Cold Coffee. Mix the coffee powder, cardamon powder and ginger together in a bowl and transfer this to a coffee filter. Bring water to a boil and once it starts bubbling, add this to the filter like regular filter coffee. It will take some 30-45 minutes for the decoction to be filtered. Boil milk in a heavy bottomed vessel under medium flame until it is creamy. Add sugar and mix until dissolved completely. Pour the decoction into 2 – 3 mugs and add milk according to your taste. Whisk the cream until it is light and fluffy and drop a dollop into each mug. If needed, add little cardamon powder for more flavour. Garnish with grated chocolate to enrich the flavour. Consume it hot and fresh. 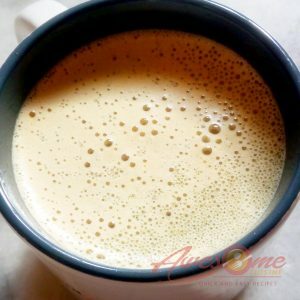 Feel free to comment or share your thoughts on this Spiced Coffee Recipe from Awesome Cuisine.